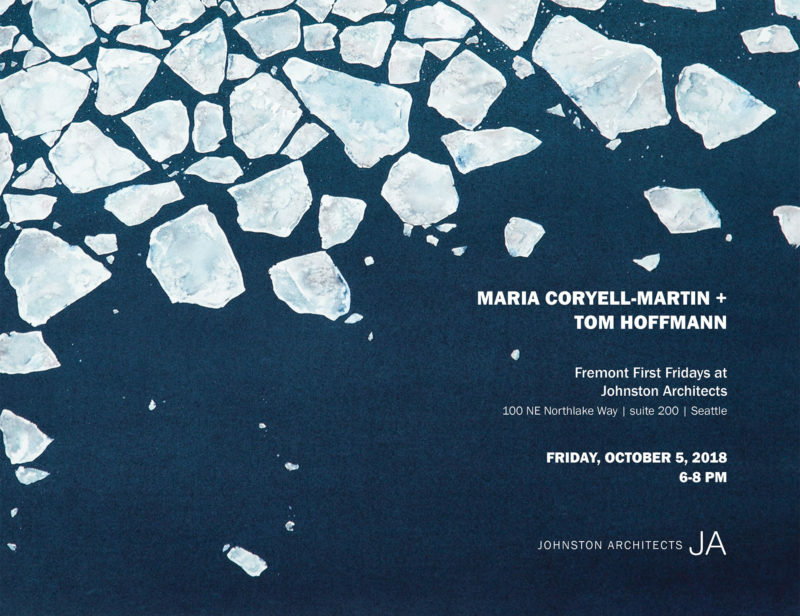 This October I am happy to exhibit a collection of my paintings at Johnston Architects in Seattle, including work from the Arctic, Antarctic, and a small series of recent sketches from my NASA project. I’ll be sharing the space with one of my favorite artists, Tom Hoffman. We’ll be there for the Fremont First Friday Art Walk, October 5th, 6pm—8pm. If you would like to visit another time, the show will be on display though October, just call ahead to arrange your visit: (206) 523-6150. Congratulations!!! I wish I could attend — do you know if there will be an online gallery? Thank you, Lisa! I’ll share the new little pieces for sure.